The 17th of 21 street lamps to be installed as part of Mischa Kuball’s Solidarity Grid. It was installed in December 2015. 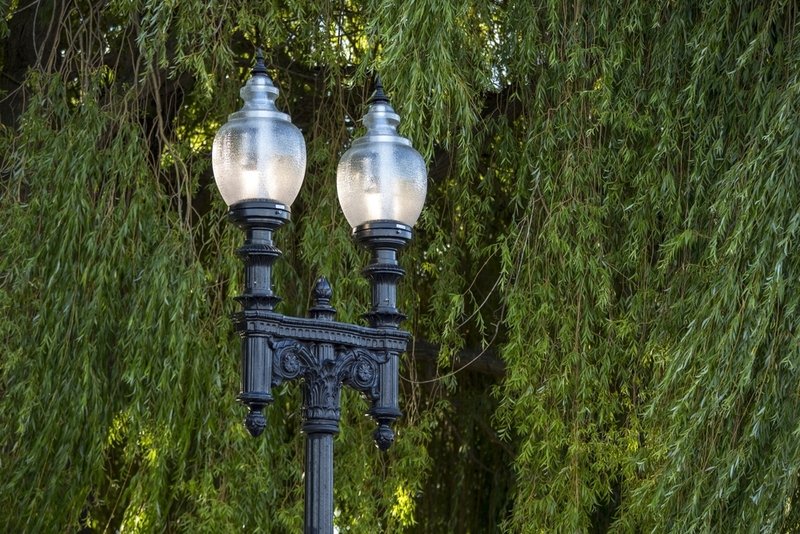 A New England street lamp from Boston, USA was installed on Tuesday 1 December 2015 along Park Terrace as a part of Mischa Kuball's Solidarity Grid. 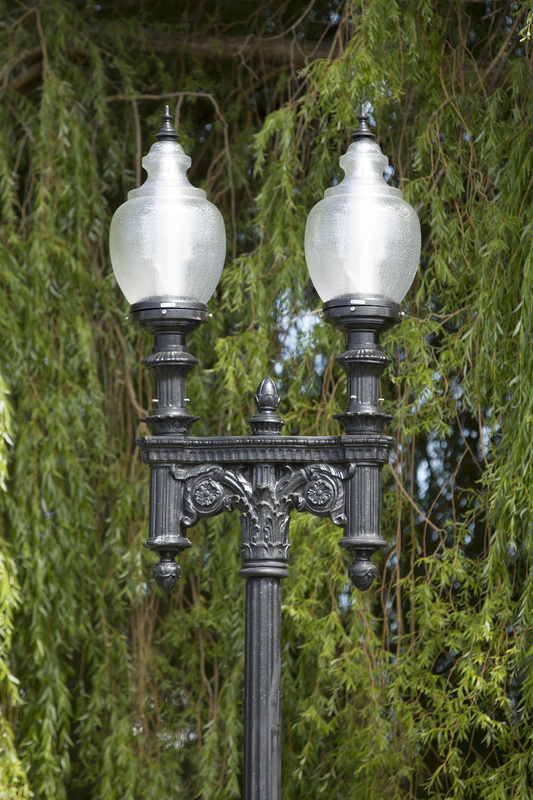 The twin-bulbed, cast iron lamp has been selected and gifted by the City of Boston as a gesture of friendship and support for Christchurch, especially during our city’s recovery and rebuild process. Typically found around downtown Boston, Harvard Square and outside historic Freedom Trail destination, Faneuil Hall, the presidential, engraved lamp design is reflective of Boston’s rich political history and its traditional collegiate universities. In their home environment, the lamps are often decorated with hanging flower baskets or Christmas wreaths befitting of the New England style. Boston is the largest city in the north-eastern state of Massachusetts. Founded in 1630, Boston is one of the USA’s oldest cities and many events significant in the American Revolution played out upon its stage. These historic sites are now linked along the four kilometre, red brick Freedom Trail, a popular tourism walk through downtown Boston. An economic hub, it is renowned as the home of world-class Ivy League education institutions, top quality healthcare and successful sports teams such as the Boston Red Sox.